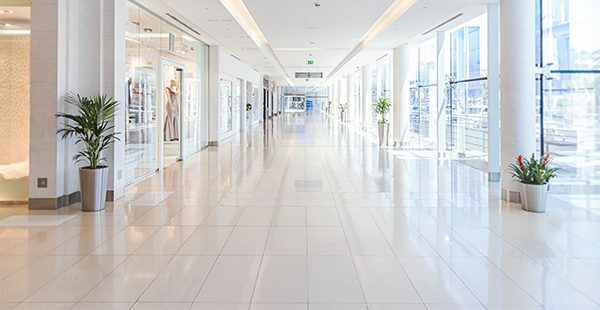 No matter what type of floor you have in your commercial building, Daystar Cleaning and Restoration can provide professional cleaning and restoration services to give your floors a bright new appearance. From VCT and linoleum to tile and natural stone, we have a solution to suit your needs. We provide convenient floor maintenance programs for our commercial clients to help protect your floor and preserve its appearance. Contact us today to discuss your options. Daystar Cleaning & Restoration are experts when it comes to cleaning VCT and linoleum. Our powerful equipment, mixed with our amazing products and superior skills, will remove dirt and grime and strip the dingy wax off your floor evenly. Our certified technicians will then add new coats of wax, one at a time. Once the wax is applied they will continue buffing the surface of your VCT and linoleum with a high-powered buffing machine to get an amazing glossy finish. Our technique allows the floors to dry faster, without sacrificing quality. You’ll get exceptional results without having to wait a long time for the floor to dry. Tile and grout are porous, and trap dirt, oils, and bacteria. Our state-of-the-art equipment uses high pressure and hot water to blast away dirt and grime. The dirty water is extracted, leaving you with fresh and clean tile floors. To protect your tile surfaces, we offer tile and grout sealing to help your floors stay cleaner longer. Sealed floors are easier to clean and protect against stains and soiling. Like tile, natural stone flooring such as marble, travertine, limestone, and granite are porous and susceptible to stains and soiling. We can clean and even restore natural stone floors, restoring their natural beauty. We recommend sealing natural stone floors to protect against stains and spills. We use only the highest quality sealant to deliver long-lasting results for your floors.